2008 wasnâ€™t nearly as productive as other years for heaps or even adults, but there were a few important slays that occurred, and one slay that would change my entire outlook. 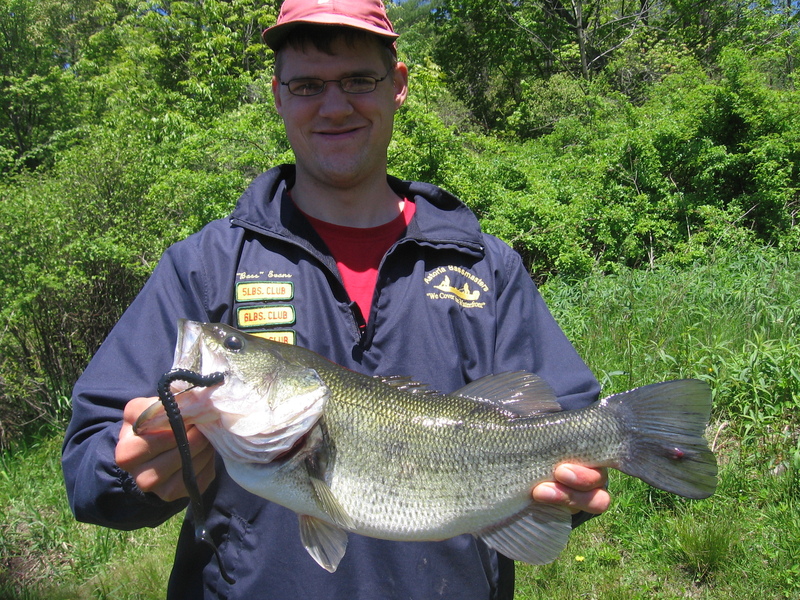 The Heap Hunters worked hard at one of our pet PA lakes from the bank, and with decent success, until Bass Evans upsized in every way possible! We return to the exact same area of the 4-11, and set up shop. This day turned out to be one of the most amazing slays of my life! 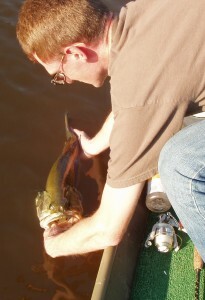 I started off on topwater with good action from 2 and 3 pounders. As the day progressed, I switched to worms and narrowed in on one exact cast of where almost every time I would hook a 2-3 pounder. The fun of this whole day was hooking them and then just fighting them through this thick cover (the salad). There is a slideshow of this epic weekend on the documentary page. Enjoy! 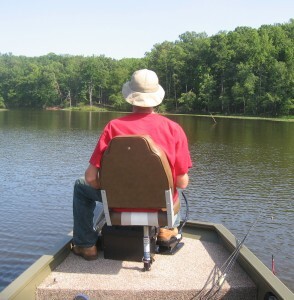 I had been fishing Pocahontas Park for 2 days and unable to figure out any sort of pattern. My dad offers to join me and brings new life to a mission that Iâ€™m losing faith in. We find the creek channel that we always fish, but decide to mark its outer edge with buoys. I had been experimenting with crankbaits. I tied an excessively deep runner on so that I could at least really feel the edge of the channel, and hopefully work it a little slower. After working like this for about an hour, I got the most subtle pick up. After I set I knew it was big, and I got nervous! My dad netted like an expert, and I upped my personal best. It was an amazing father and son moment. Iâ€™m not done yet! 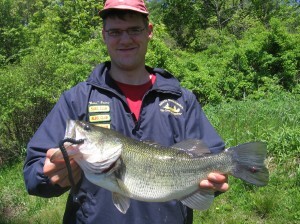 I love bass fishing! 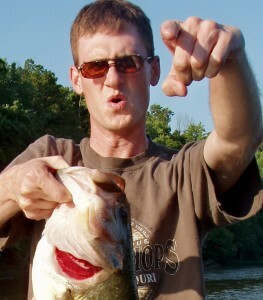 Bass Evans heard about the 7 pounder and came down to VA to work. It is dumb hot, not much action, confidence is waning, so I tie on the same crankbait and fish the same tactic (different spot), and yeeeessseyeyeaahh!!! Iâ€™d like to make a comment: The summer of 2008aker was when I bought my boat and decided to make the commitment of becoming a dedicated Heap Hunter. I was developing confidence and I realized that I wanted to catch bass like these all the time! Photo taken by an innocent bystander, pier fisherman. Thanks, buddy! 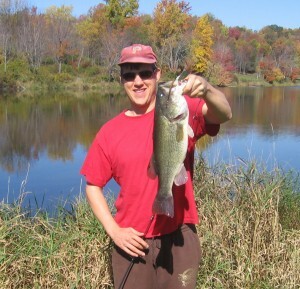 Not to be totally outdone, Bass Evans kept the fire alive through the fall with our usual bank fishing missions. He set up shop in a cove with an entire audience of pier fishermen. He threw the buzzbait across the cove and near some commotion when SPLOOSH: a 4 pounder. He had the audience photograph him, and marvel at his catch. He let her go, and we left! Out.